Here are some sites that you can use for training while learning how to use the Web Scraper. 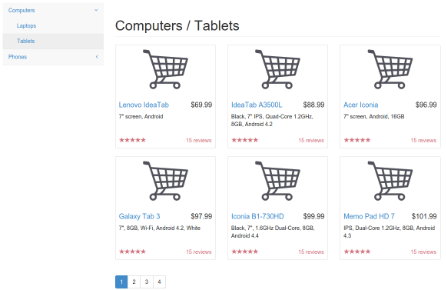 E-commerce site with multiple categories, subcategories. All items are loaded in one page. E-commerce site with multiple categories, subcategories. Standard links are used for pagination. E-commerce site with multiple categories, subcategories. Links to product pages are made with popup links. 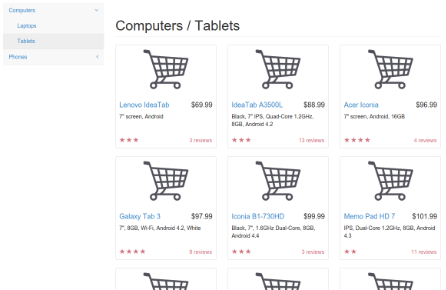 E-commerce site with multiple categories, subcategories. Dynamic links that use data without reloading the page for pagination. 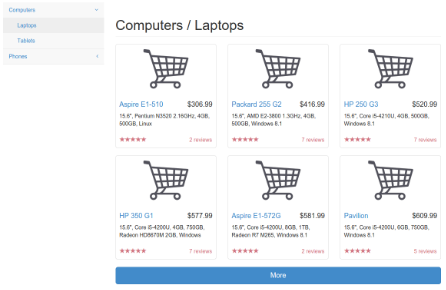 E-commerce site with multiple categories, subcategories. Instead of using pagination this site uses a "Load more" button to load more items. 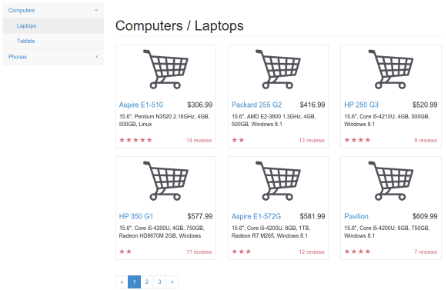 E-commerce site with multiple categories, subcategories. Instead of using pagination this site loads items when user scrolls the page down. This page contains multiple tables. 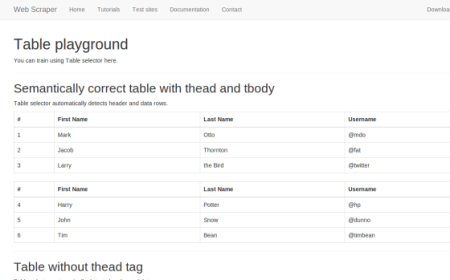 You can train using Table selector here.